History of the Rally Ireland began in July 2005 when the bid to be included in the WRC was officially launched. A short pilot event was run in October 2005 as a mixed tarmac and gravel event, won by Matthew Wilson. The candidate event was run in March 2006 and was observation by FIA, as required by the WRC rules. This time event was run entirely on tarmac and winner was Eugene Donnelly. 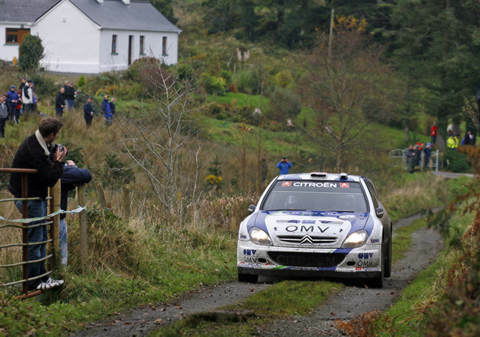 Ireland's position in WRC was confirmed by FIA when event was included in the WRC calendar, published in July 2006. Ireland's bid had succeeded in a space of one year! Rally Ireland is somewhat odd addition to the WRC calendar given that number of tarmac rallies has been on decline since turn of century. However, since Irish tarmac roads are very unique it is very welcome as the event brings diversity of conditions with it. Local roads are narrow and vary vertically very much, constantly going up and down as they follow contours of the land. Besides the nature of the stages, route of the Rally Ireland has another unique aspect as well. Stages are held in two countries - Republic of Ireland and Northern Ireland belonging to the United Kingdom. Unlike Monte Carlo Rally, which also crosses the border from Monaco to France and back, Rally Ireland has sizeable portion of the stages in both countries and even includes a Super Special Stage at the heart of city of Belfast. Officially, event is Irish and rally HQ has been in city of Sligo near the border. 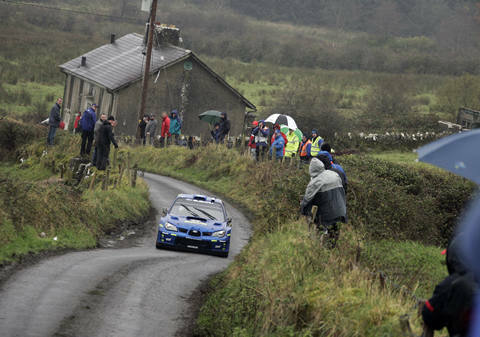 It would be unwise to dismiss Ireland as a foreign territory for world rallying. Even if there has not been Irish WRC champion or event winner to date, local events like Circuit of Ireland or drivers like Paddy Hopkirk or Billy Coleman are very famous. And in fact, rallying is very popular in the island, some estimates claim that there are more World Rally Cars per capita in Ireland than there is anywhere else in the world. This claim is easily verified by having a glimpse on entry list, local entries on A8 cars easily outnumber championship regulars and foreigners. Parts of the route runs on narrow country lanes with old, worn and broken tarmac and grass growing in the middle. The winding roads go not only left and right but also up and down as they weave through the countryside. 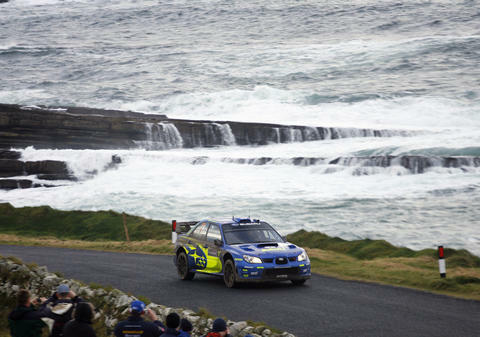 Being an island, also seaside stages are a feature of Rally Ireland. Note how high the car is set up, unconventional for a tarmac trim.